Expansion joints are major components in numerous industrial plants. We are manufactures and supplies and excellent range of Flue Duct Expansion Joints, offered at market leading prices. Moreover, we have set benchmarks in the industrial sector by offering Expansion Ducts that are performance assured and have long service life. We welcome queries for Storage Tanks & Fabrication Services from South India region including Andhra Pradesh, Karnataka, Kerala and Tamil Nadu & cities like Bangalore, Chennai and Hyderabad. 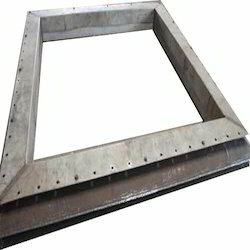 Our company is engaged in the supply and export of a wide range of Flue Gas Duct Expansion Joint which have been manufactured using a high quality of raw materials which have been procured from well known vendors in the market and they are chemical resistant and they are available in a range of sizes and they offer a high performance to the customers. These products have been priced at very reasonable rates in the market. The company is engaged in the manufacture, supply and the export of a wide range of products which are inclusive of a wide range of Fabricated Expansion Joints which are high on demand in the market and they have been priced at very reasonable rates in the market and they have a sturdy make. 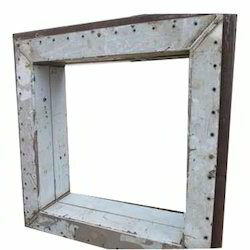 These joints are available in various sizes as per the client requirements and they are rust proof in their make. They have been made using a high quality of raw materials procured from well known vendors. Looking for Expansion Joints ?